As you might be able to tell from the influx of blog posting, I am really loving funemployment! Today I am meeting some of my now former coworkers for lunch and something that is by now an understood amongst our group - a post lunch pop in at Sip Stir Cafe. With small coffee shops, it seems like you're usually giving up one of the following, but Sip Stir Cafe really has it all: delightful staff, amazing coffee and a very relaxed yet polished ambiance. It is also woman owned, which is double sparkle bonus points in my book. Next on my list after setting is quality of the coffee. This is the smoothest cup of coffee in town, thanks to their cold drip process which never uses heat, just a little work from pressure and gravity. This ensures that the coffee is never bitter, and while I always drink my coffee black, my summer intern, who was typically a two sugars, started drinking hers black here as well since it is so naturally flavorful! This is how the coffee becomes magically smooth! 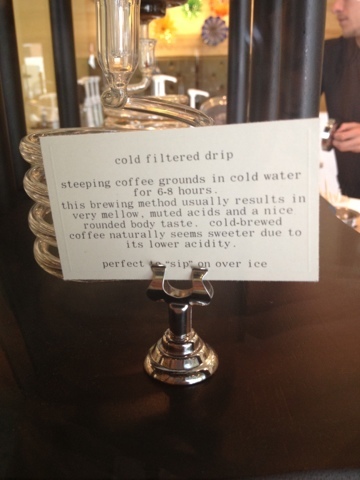 The cold drip coffee is not the only option worth writing about, though. My coworkers and I each have a go-to favorite. Arti loves the lattes, Amy loves the freezes (especially the peanut butter flavor!) and for the tea ladies in our group we have eight loose leaf options to choose from. When I take Markus soon I have a feeling he will be ordering their pour over coffee, to compare methods and results. That third item on my independent coffee shop list is customer service, and Sip Stir has it in spades. 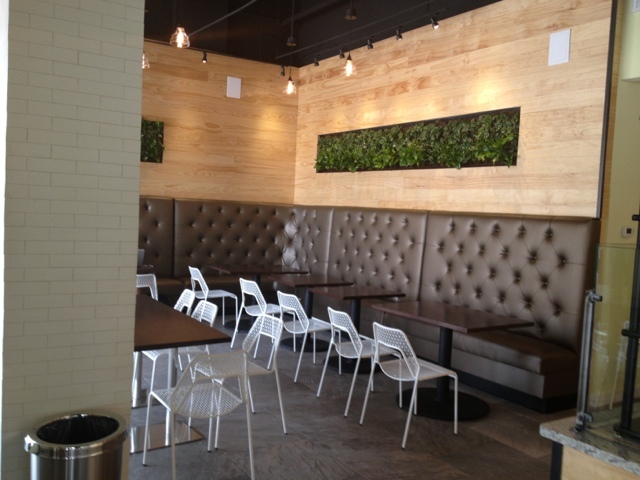 We're recognized as a group when we come in, and the staff is always happy to see us and has our preferences down. When we were there last week, a woman came in and said, "Will you make me what I had yesterday?" and the barista got to work with no question. 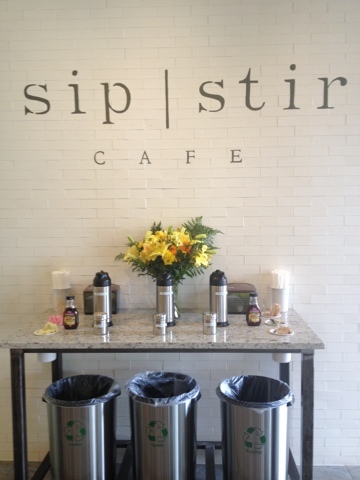 I always thought that if there was one place in Dallas where you are just another face in the crowd it was Uptown, but Sip Stir has me changing my claim, at least within the walls of their beautifully kept coffee shop. I am already looking forward to my smooth iced coffee today, and am glad Sip Stir Cafe has brought a little old fashioned java and sense of community to the glittery and over fabulous confines of Uptown. Do you have an afternoon pick me up? The morning cup of coffee is a necessity, but the afternoon one is like a special secret treat. Lilly... this place looks great! So glad to hear the staff is as great as the coffee! 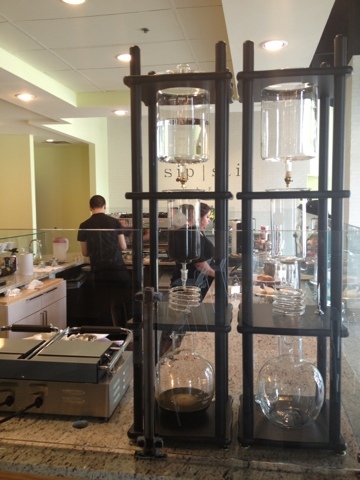 I'm not a coffee person (I know, let the stoning begin) but my man is so we're gonna have to check this place out soon. Thanks for the review! I live so close to this coffee shop and haven't been in to try it. How do you compare it to the Pearl Cup? I love their lattes there. Thanks for the post, now I REALLY need to go check it out! Does your coffee machine fulfill your morning hours needs? Having a great manufacturer can start your morning hours off right,http://thebestcoffeemakerreview.com/ which can lead to having better days all around. If you're pleased with your morning hours friend.